Team Elite swimmers make a splash at the FINA World Swimming Championships! TEAM ELITE ATHLETES ON TEAM USA FOR 2019! We are thrilled to share the Team Elite athletes that will be representing #TeamUSA in 2019! 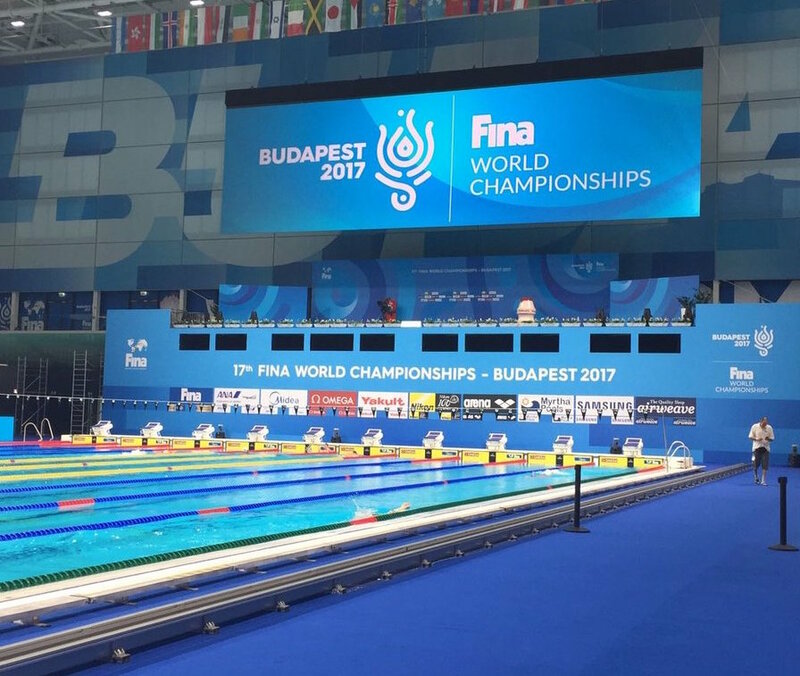 2019 World Championships: Kathleen Baker (100 Backstroke, 200 Backstroke, 200 Individual Medley), Katie Meili (100 Breaststroke), Michael Chadwick (4 x 100 Freestyle Relay). 2019 Pan American Games: Sarah Gibson (200 Butterfly), Kendyl Stewart (100 Butterfly), Hellen Moffitt (100 Butterfly),Michael Chadwick (50 Freestyle, 100 Freestyle). Congrats all! The full roster can be found here: https://bit.ly/2MpId5G. #RoadTo2020! U.S. Open Record, National Title, and 2018 Phillips 66 Performance Award for Kathleen Baker to Wrap Nationals! Kathleen Baker ended Nationals in style, notching her third title of the week by breaking a U.S. Open record (fastest performance in history on U.S. soil) in the 200m I.M. in 2:08.32. Baker was additionally recognized for her outstanding meet by being named the 2018 Phillips 66 Performance Award winner for her world record in the 100m Backstroke. Check out Kathleen's stellar 200 I.M. below. WORLD RECORD FOR KATHLEEN BAKER! After claiming a U.S. national title in the 200m Backstroke in 2:06.43, Kathleen Baker broke the world record in the 100m Backstroke in 58.00! Watch this historic swim below. Katie Meili is Tokyo Bound! New Photos of Team Elite Preparing For Championship Season! Team Elite preps for their championship meets, inspires the next generation, and takes a break for picture day! Photos by Jack Spitzer. Enjoy! Courtesy of our friends at MentorMatched. German National Record Holder Jacob Heidtmann is training with Team Elite! Read about it HERE, and check out the team training below. Training Hard for This Summer & Beyond! Check out this clip below by Coach Marsh of Team Elite at work! UC-San Diego Chancellor Khosla Visits! Great Shot of Coach Marsh w/ Coach K! Pick up the latest copy of SwimSwam Magazine and tell us how many Team Elite Coaches and Swimmers you spy! Team Elite Aquatics and Coach David Marsh is thrilled to announce their latest athlete, World Championships gold medalist, Hellen Moffitt . 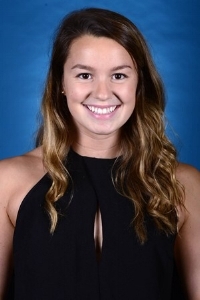 Moffitt claimed gold as a part of the 400 Medley Relay at the 2016 Short Course World Championships as well as Gold in the 100 Butterfly and Silver in the 400 Medley Relay at the most recent World University Games. The Alexandria, Virginia native and Olympic Trials Finalist was a 9x All-American for The University of North Carolina and is a current USA Swimming National Team member. Photo Courtesy of Hellen Moffitt. Under the guidance of 2016 Head U.S. Women’s Olympic Swim Coach, Team Elite put more athletes on last year’s Olympic team than any program in the nation. If Team Elite were a country, they would have placed 4th in the medal standings. The group consists of athletes from The United States, Brazil, Japan, Spain, The Netherlands, and Israel, forming a truly global training base for amateur and professional swimmers around the globe now under Team Elite West and East. Huge shout out to Team Elite Swimmers Kathleen Baker, Katie Meili, Michael Chadwick, Anthony Ervin and Tim Phillips who have all been named to USA Swimming's 2017-2018 National Team! Additional congrats to Coach David Marsh who is a 2017-2018 National Team Coach! Here we come Tokyo 2020. Gold Medalist & Law Student Katie Meili Joins Georgetown Coaching Staff! Great shot by Coach Marsh from the Energy for Swim charity event in Italy last week! Team Elite is coming home with EIGHT World Championship medals, totaling 20% of the United States' record breaking and world leading haul. Huge congrats to Michael Chadwick (Gold, 4 x 100 Freestyle Relay), Tim Phillips (Gold, 400 Medley Relay), Katie Meili (Gold - 400 Medley Relay, Silver - 100 Breaststroke, Bronze - 50 Breaststroke), and Kathleen Baker (Gold - 400 Medley Relay, Silver - 100 Backstroke, Bronze 200 Backstroke). Extra shout-out to Kathleen's AMERICAN RECORD in the 50 Backstroke and WORLD RECORD with the Women's 400 Medley Relay team! Team Elite had a strong showing at the 2017 Maccabiah Games! 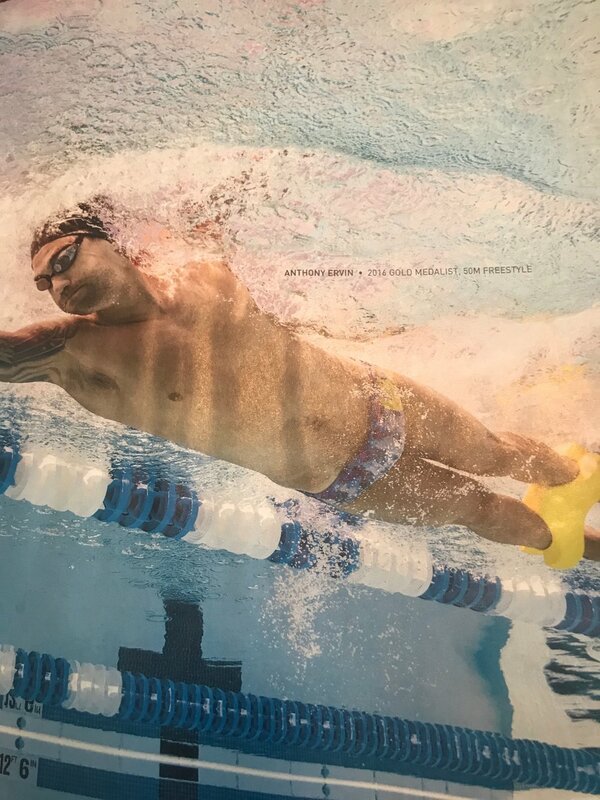 Representing Team USA, Anthony Ervin won gold medals in the 50m Freestyle, 100m Freestyle, anchored the 400 Medley Relay to gold + split a 23.3 butterfly leg to win an exhibition 200 Medley Relay with Lenny Krayzelburg, Alex Blavatnik and Jason Lezak. Project Rising Star had an excellent showing at the Wingate Institute for Israel with Andi Murez winning gold in the 100 and 200 Freestyle + 4x100 Freestyle relay, David Gambourg racing to Silver in the 100 Freestyle as well as gold in the 400 Freestyle relay, and Marcus Schlesinger taking the title in the 100 butterfly, with Yakov Toumarkin winning gold in the 200 backstroke. Team Elite will be TEN athletes strong at next week's World Championships! We'll be cheering for Marius Kusch representing Germany, Meiron Cheruti, Andi Murez, Marcus Schlesinger and Yakov Toumarkin from Israel; Ryosuke Irie for Japan; and Kathleen Baker, Michael Chadwick, Katie Meili, and Tim Phillips from the USA. Let's go! 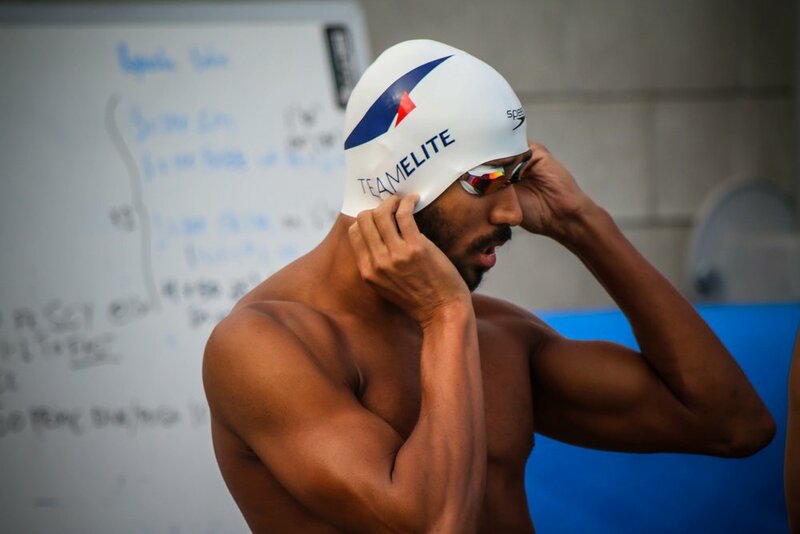 Missed Team Elite's performances to get on the 2017 USA Swimming World Championship team? You can now view them below! Re-live these amazing moments + pick up some world class technique tips just by watching. Check out interviews with Team USA World Championships members Kathleen Baker, Michael Chadwick, Katie Meili, and Tim Phillips from last week's U.S. Nationals / World Championship Trials in Indianapolis! And don't miss Katie Meili's amazing on-land announcement. HUGE congrats to Team Elite members Kathleen Baker (50 Backstroke, 100 Backstroke, 200 Backstroke), Michael Chadwick (400 Freestyle Relay), Katie Meili (50 Breaststroke, 100 Breaststroke), and Tim Phillips (50 Butterfly, 100 Butterfly), who ALL qualified for the 2017 U.S. World Championship Team! Additional shout-out to Kathleen Baker who set a new U.S. Open Record in the 100 Backstroke at last week's Nationals, clocking 58.57. Congrats to all! See you in Hungary. 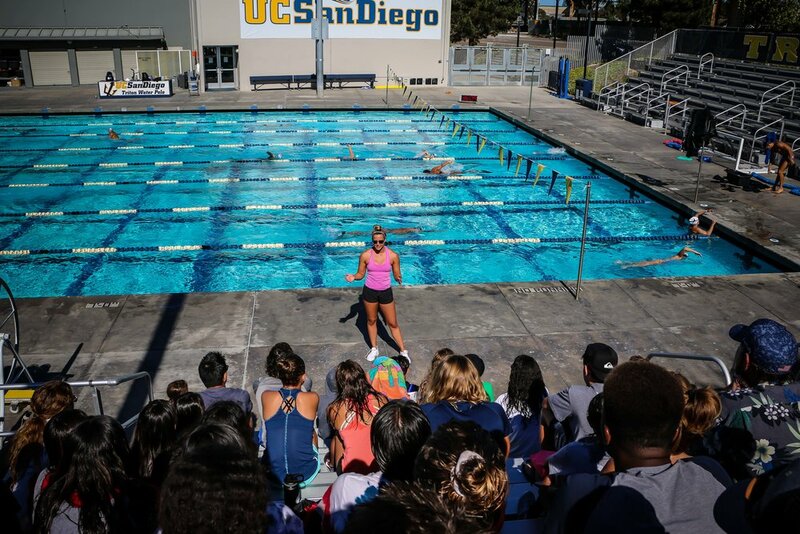 Check out Coach Marsh on SwimSwam's Coleman's Carpool, talking all things UC-San Diego, the expansion of Team Elite, as well as the new nickname he gave George W Bush at The White House. Enjoy! Coach David Marsh announced today that he has accepted the position of Head Men's and Women's Swim Coach for The University of California Swimming and Diving teams! This also expands Team Elite to the West Coast, making Team Elite Aquatics officially bi-costal. Read all about it via Swimming World and check out the video below of David in his own words. Photos from June's Team Elite Camp with Coach Marsh! Flip through the gallery to see all that the campers did and learned with David and the Team Elite athletes! Learn From The Pros at Coach Marsh and Team Elite's Technique Camp! Ever wonder what it's like to train with the pros? Now is your chance as Coach David Marsha and Team Elite are offering a Technique Camp in Charlotte, North Carolina in June. Contact Amy Kosofsky via amyk@swimcoachmarsh.com to register and for additional details! See you there. Tips from Coach Marsh in Men's Fitness! Check out the new issue of Men's Fitness magazine to learn some pro swimming tips from Coach Marsh! 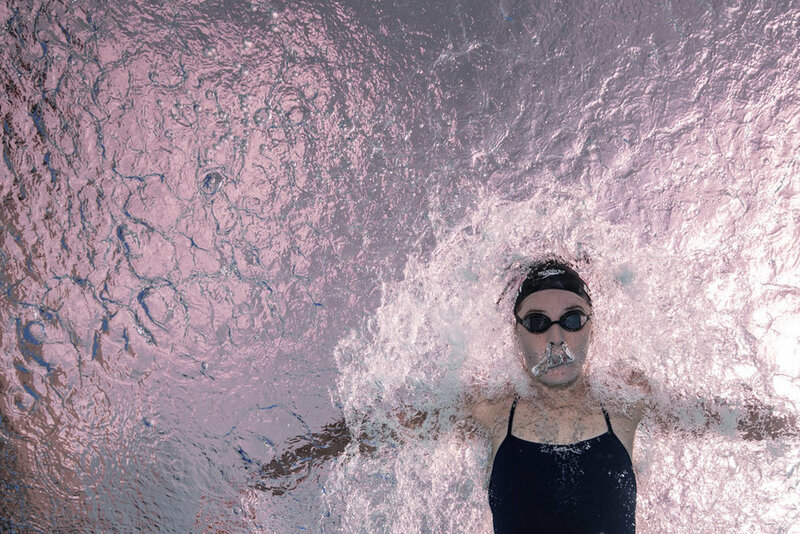 Whether you're a lap swimmer or elite, there's much to learn from this awesome piece. On newsstands now! And thanks to Speedo for making it happen.